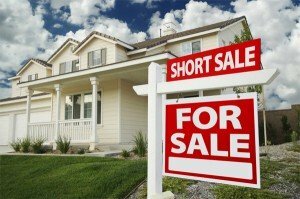 Short Sales Outpace Foreclosures. Is It a Trend? 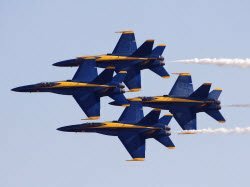 In this week’s housing news roundup, short sales flex some muscle while regulators and legislators debate changes to mortgage loan rules. For the first time since the housing crisis began, short sales are becoming more prevalent than foreclosures. 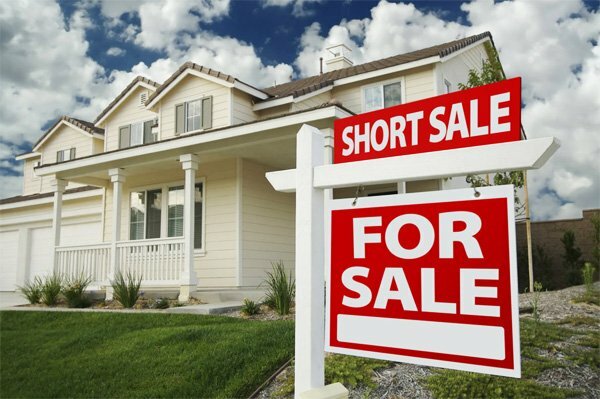 In addition, new rules are coming that would speed up the drawn-out short sale process. That’s good news for home owners underwater on their mortgages as well as the economy in general: Short sales put less of a hit on borrowers’ credit than foreclosures, and they reduce the number of foreclosures flooding the market, which negatively affect nearby home values. These stories and more in this week’s housing news roundup. Santa Returns to SummerLane December 4th! 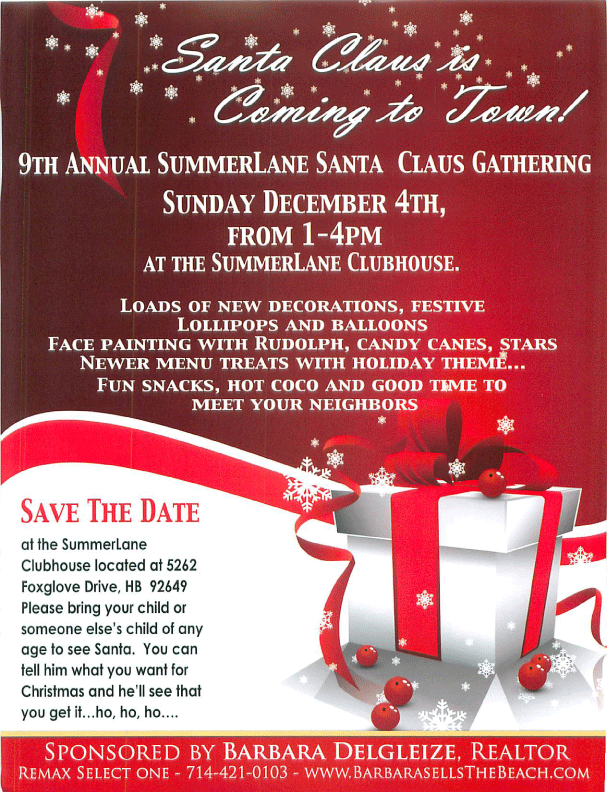 Santa is coming, Sunday, December 4th from 1-4PM at at the SummerLane Clubhouse! Come visit Santa and bring your Christmas list! The SANDS Community Services Guide has a whole lot of fun in store for the fall 2011 season. A variety of workshops are offered including an alternative outdoor cooking class at Murdy Community Center. Students will cook in Dutch ovens, open fire, charcoal, alcohol burner, camp stove, tripod, stick, foil, and stone. Class meets on the outdoor patio at Murdy Community Center. The next class is being offered on Saturday, October 1 at 9:00am. Visit www.hbsands.org for more information on this and other recreation programs! The 41st Annual Huntington Beach City Surf contest, sponsored by the City of Huntington Beach Community Service Department, Huntington Surf & Sport, and Duke’s was held on Saturday, September 17 through Sunday, September 18, just south of the beautiful Huntington Beach Pier. 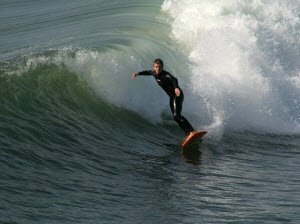 Participation was limited to persons residing in the Huntington Beach Union High School District and approximately 175 people of all ages surfed in ten divisions. Winners of each division received awards and prizes donated by Huntington Surf & Sport, Duke’s and the Downtown Business Association. This year the contest was part of “Surf City Days” a local beach festival put on by the Down Town Business Association.